Currently 60% of students who applied have been placed at their first choice (CF) university and an additional 28% at their insurance choice. The majority of these are for highly competitive courses at Russell Group institutions. 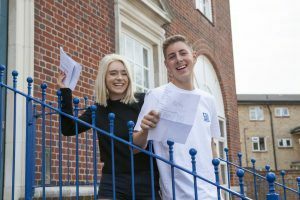 Please click to read some of our student’s words about their results and their time at the college.